It’s been about a year and a half since Google Optimize became widely available to digital marketers and has been consistently improving since launch. The tool is primarily used so that advertisers can run tests to see if changes on webpages improve the rate of an action – like a pageview or click. In my opinion, the tool is great, but I feel like its value has flown under the radar, perhaps due to other product offerings Google has recently launched. 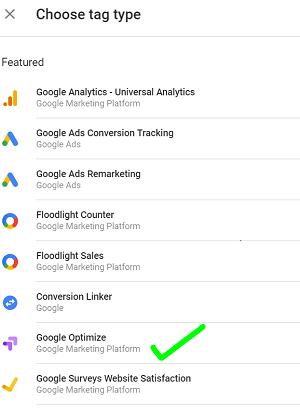 Today, I’m going to show Google Optimize some love and tell you why a professional digital marketing team should utilize it frequently. I have to say, Google is usually pretty good at making sure their products synergize with other offerings. Using tools that integrate with others exponentially increases their usefulness. Google Optimize is no different from this standpoint and the setup process is fairly simple. 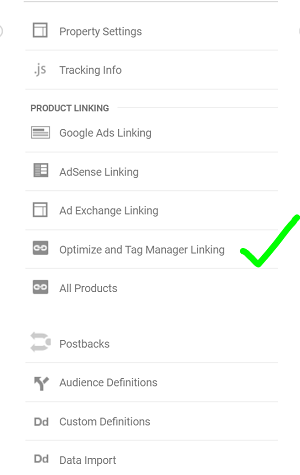 Whether you’re using standard Analytics implementation or Google Tag Manager, Google Optimize connects seamlessly with both, making it easy for advertisers without “dev skillz” to connect and easily access the data Google Optimize provides. The most useful aspect of connecting with Analytics is that you can select an existing Analytics goal as your action to test. Additionally, experiment data is automatically included in your Analytics reports and you’re notified when the experiment is complete. In the past, testing could have involved several different departments and different programs working together to implement on site. Now all you need is a clear goal, a knowledgeable digital marketing team, and Google Optimize. However, choosing the right experiment is vital in improving the conversion rate of your goals. A/B Tests – This is a pretty common form of testing in which one change is made to a variant page (ex. blue “Buy Now” button) and tested against the original (red “Buy Now” button). Traffic is randomly sent to either page and Optimize captures the performance data for each variant against an objective and identifies the leader. Redirect Tests – This experiment tests separate web pages against each other. Redirect test variants are identified by URL instead of an element on the page. These are useful when you want to test two very different landing pages, or a complete redesign of a page (ex. site.com/product-page/a vs. site.com/product-page/b). Multivariate Tests – MVTs test two or more elements at the same time and identify which combination creates the best outcome. You can discover the most effective variant of each element as well as analyzing the interactions between those elements. These tests are useful for optimizing multiple aspects of a landing page. 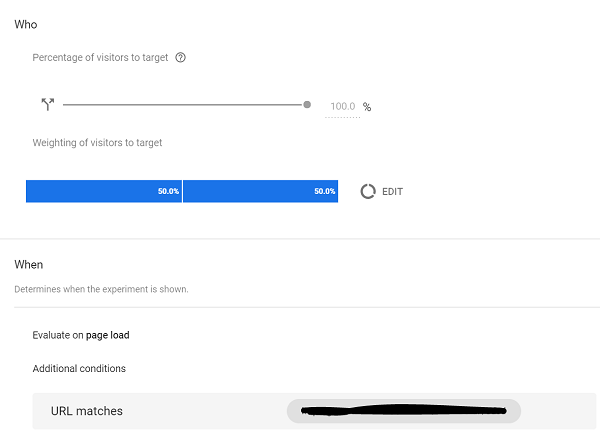 Optimize also allows you to control how many visitors will be subjects in your tests and what percentage of visitors will visit the variants or original pages. If you only want a handful of site users to be involved in your experiment, you can control the exact percentage. You can even designate which pages a user must visit before becoming a participant in your test, which is awesome. This is where Google Optimize shines. Typically, a lot of the changes advertisers want to test are not particularly difficult from a web development standpoint. Sometimes, bothering your dev team only to change a button color is hardly worth the hassle. The development environment for editing your variant pages in Google Optimize is easy to use and contains a broad range of capabilities. If developers want to do some advanced HTML and CSS editing in Optimize, they will be able to edit the code as well. The best part is that the variant pages are not hosted on your server and are hosted in Google Optimize. Make your testing environment easier for everyone on your team by getting familiar with Google Optimize.